My dear Aficionados, this time we meet Silvia an Italian woman that she lives in Padova in the north of the wonderful Italy. She works for an Italian Bank, as a hobby she presents events and she is a speaker for tv and theater. 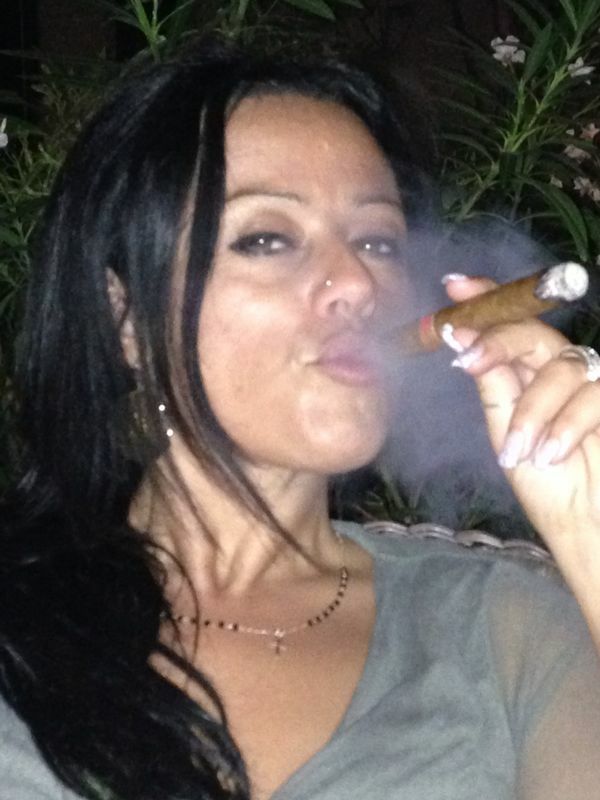 Her biggest passion is Cigars and the culture they represent. 1) when did you start to smoke cigar? I started smoking Cigars about 4 years ago. At that time I smoked only cigarettes. My best friend continued to criticize me ’cause he said that I was smoking badly and I had to try Cigars because the smell and taste of tobacco is completely different. 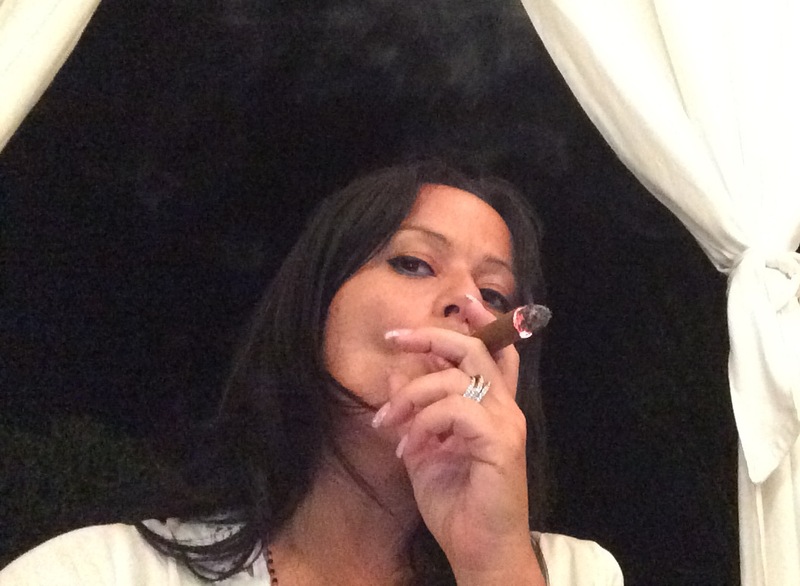 So I tried with half Toscano Soldati and then gradually the first Puro… I no longer smoked cigarettes…so I discovered the wonderful world of Cigars ! there is not more beautiful place where I smoked, ’cause when I want to light a good cigar every place becomes magical and it creates that special atmosphere that enhances the moment. Among the most fascinating places remember the cigars smoked on the island of Lampedusa, it was really romantic and charming. I also remember with pleasure the cigars smoked in some nice snowy “baita” in the Alps after a day skiing. Usually to cut cigar I use my silver punch , it’s a gift and I adore it!! But it depends on the cigar that I want to smoke, I also use the guillotine. when I smoke is one of the best moments of the day. The slow smoking for me is peace. Relax and peace!! I feel good, it’s my moments, the only time of the day when I can think and clear my mind. I light my first cigar of the day after lunch, after a good Italian espresso. I love the taste of coffee with tobacco! Cigars for me are part of the day where I think about my life, my day, my heart. As G. Bernard Shaw said : “The best things in life are immoral, or illegal, or fattening”…..
And an Italian writer Carlo Levi said : ” In this land of tears , there are two pleasures: love a beautiful woman and smoking a cigar”. 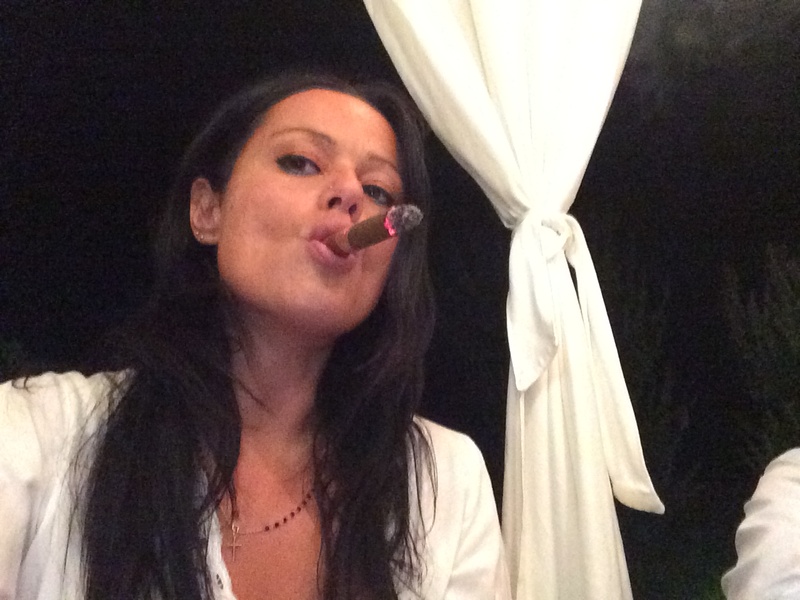 Then I say : ….And if you love a beautiful woman who smoke Cigars?….. I say Bingo!!! 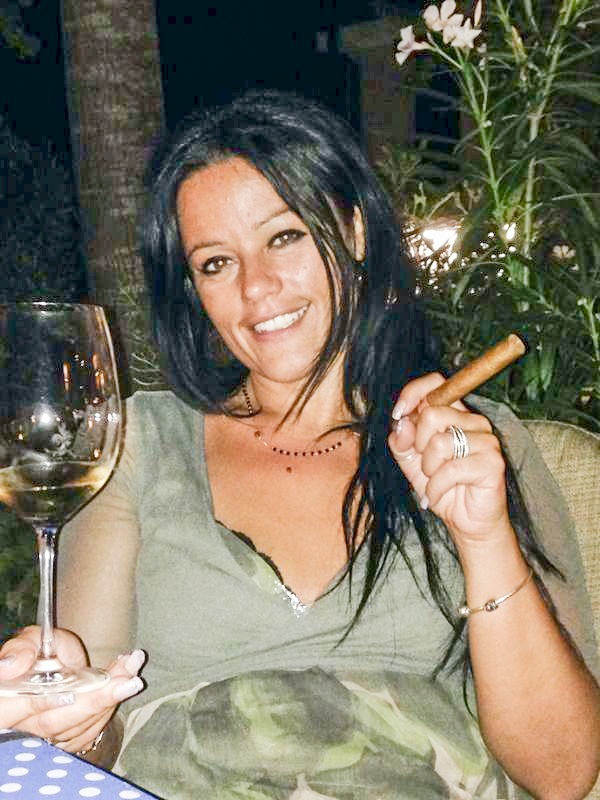 Thank you very much Silvia, to let us know your opinion about the cigar world. 3 Responses to "“Silvia Zanovello„"